Don't let dry curls get you down this summer! This review has been a looooong time coming. HairVeda is one of those brands that's been on my radar since like 2013, but I never got the chance to get my hands on. 2017 is straight up blessings on blessings on blessings - because not only did I get to test drive HairVeda products, but I discovered some new faves in the process! Which products might end up on the Christina's Choice 2017 list? Keep reading and take a guess! By the way, if you just want to see HairVeda products in action and don't quite care for the details, feel free to scroll down to the demo video :) Either way - thanks for being here! If you're new to HairVeda, let me give you a quick rundown. 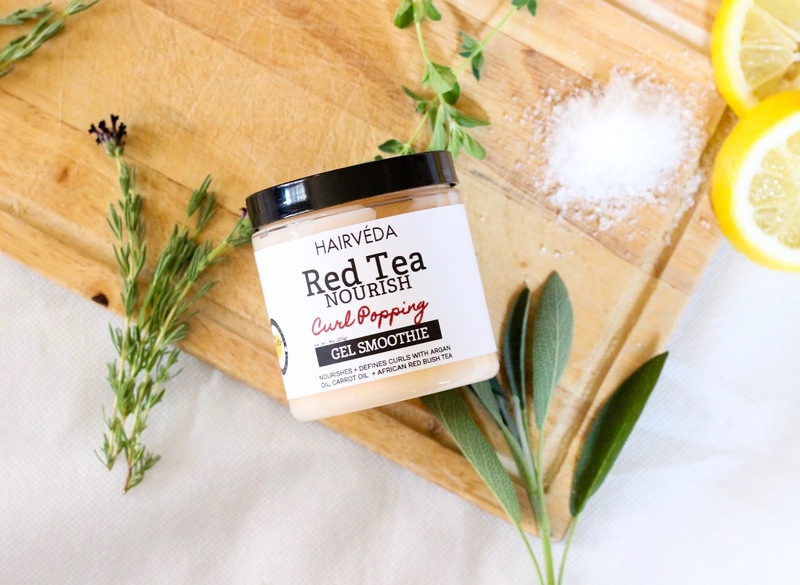 HairVeda is a Black owned natural hair company specializing in handcrafted products to moisturize dry, thirsty hair. And they're legit reasonably priced, especially considering ingredient quality. All of the products in this review are silicone free (for those who follow CG), and only the Red Tea Nourish Curl Popping Gel Smoothie contains protein. The shampoo that lives up to its name. Sodium Methyl 2-Sulfolaurate: Natural, plant-based surfactant, cleansing and foaming agent. Disodum Methyl 2-Sulfolaurate: Natural, plant-based surfactant, cleansing and foaming agent. Cetyl Betaine:Antistatic and hair conditioning agent. Lauryl Lactyl Lactate: Mild, naturally derived surfactant and cleansing agent. An SLS-free deep cleansing shampoo designed to gently remove oil and product buildup without drying out the hair. Because I filmed wash day on camera, I couldn't hop in the shower like I normally do. I wet my hair down and distributed shampoo throughout my hair from roots to end. I alternated between massaging my scalp and lightly finger detangling to prevent major tangles during the process. After I felt my hair and scalp were thoroughly cleansed, I proceeded to rinse with warm water. I feel like 2017 is the year of the dope shampoo. I've encountered so many great ones, I'm seriously going to have some tough decisions come December when it's time for Christina's Choice 2017. Deep Cleanse Silky Shampoo is definitely no exception. I love that it's super silky, goes on smooth, and has enough slip to do a lil' detangling while still cleansing my hair and scalp. But did you see my curls after rinsing though?! POPPIN'. Like as in super moisturized, defined, and serving all sorts of product-free naturale realness. 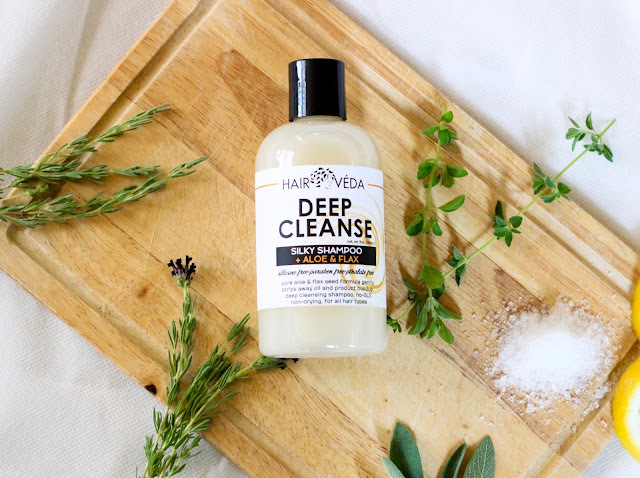 Deep Cleanse is the kind of shampoo I live for - one that almost makes you not wanna deep condition afterward. Oh and a SUPER bonus for my sensitive scalp and nose naturalistas - Deep Cleanse is fragrance FREE. Like, as in you gotta inhale deeply to smell even the slightest somethin' somethin'. For someone who deals with psoriasis like me, this is a HUGE bonus in the scalp health department. Acai Fruit Oil: Antioxidant rich extract that helps fight and reverse the signs of aging and damage in hair. Cetyl and Stearyl Alcohols: Considered "fatty alcohol" -- NOT to be confused with drying alcohols such as ethyl. Acts as a lubricant, thickener, and emollient. Also gives conditioner its velvety feel without making hair greasy. Is additionally used to keep product ingredients from separating. Can you believe this 16oz bottle is only $12.50?! An intense oil therapy conditioner designed to hydrate and restore dry, damaged, and color treated hair. Infuses strands with strength and nourishing moisture. 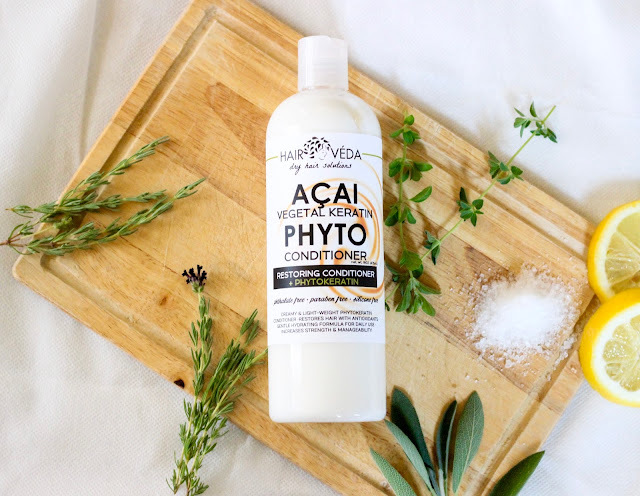 After shampooing with Deep Cleanse, I applied a generous amount of the Acai Berry Phyto Restoring Conditioner throughout my hair. I worked it in from roots to ends using my fingers to make sure it covered every single strand. I was totally heavy-handed with it. I then deep conditioned using my Hot Head Thermal Cap for 30 minutes and rinsed - again with warm water. Hairveda did 👏NOT👏COME👏TO👏PLAY👏!!! You guys saw how much conditioner I used. And the bottle still has the nerve to still be 85% full. I absolutely LOVED how the Acai Berry soaked right into my strands. Not sure if you guys know or not, but the front half of my hair and crown are low porosity. Normally, conditioners sit on top of my strands before eventually soaking in with heat. The soak-in realness with Acai Berry was nearly instantaneous. As far as as slip goes, I give it an 8 out of 10. Not the slippy-dippyest, but absolutely work-withable for detangling. Plus, it made my hair feel suuuuper smooth on contact. After rinsing, my curls were crazy moisturized, defined, de-frizzed, and all around amazing. I definitely recommend for my low porosity gals looking for some extra moisture and strength. 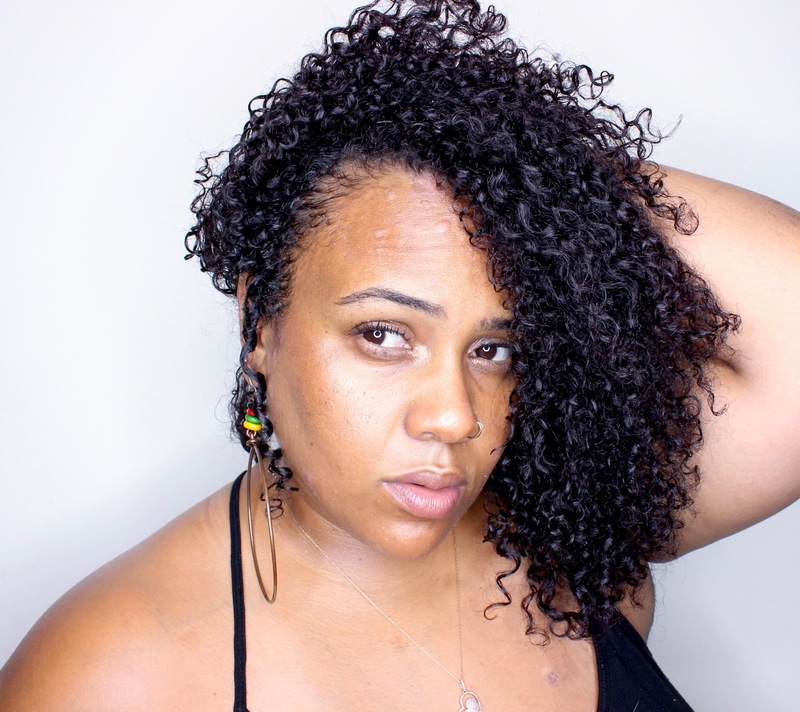 A must-try for the low porosity gals! Vegetable Glycerin: Vegetable-based humectant that draws in moisture to the hair. An oil-in-cream style moisturizer and leave-in conditioner designed to impart hydration, softness, shine to dry hair. I generously applied Whipped Creme throughout my hair after rinsing Acai Berry. I used it as my leave-in for wash & go styling. 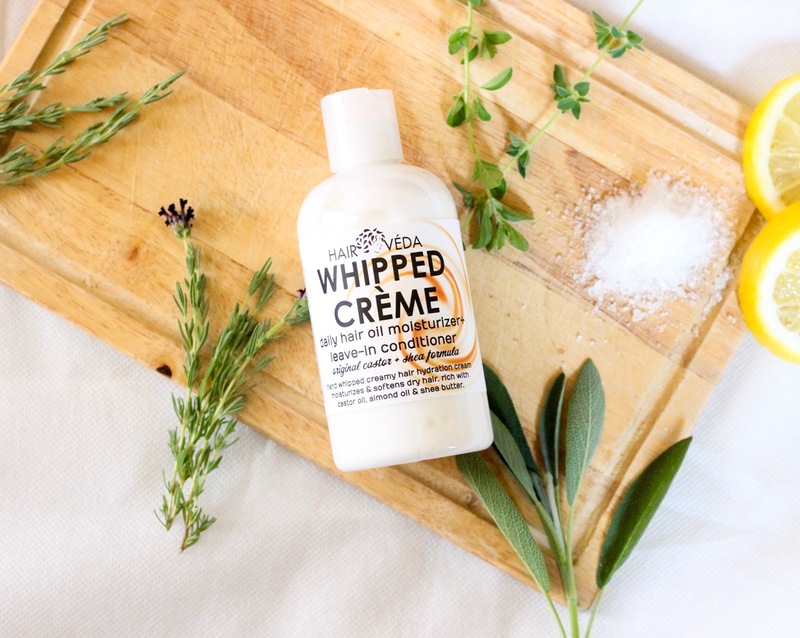 Whipped Creme is PACKED with moisture - yet does not feel greasy or leave the hair weighed down. It has a consistency true to its name - light, smooth, and easily workable in the hair. I would have enjoyed a teeeeeny bit more slip, but I can't deny the levels of moisture it gave my hair in preparation for styling and in the days after. If your current rotation of leave-in conditioners leaves much to be desired, I highly recommend Whipped Creme. Riboos Tea Extract: Infusion of Riboos tea provides a beneficial boost of natural antioxidants, antibiotics, and stimulation of blood circulation to hair follicles, all which promote hair growth. Carrot Seed Oil: Beta carotene-rich oil that promotes healthy hair growth and hair elasticity. Corn Oil: Oil rich in Vitamins E and K to improve blood circulation, prevent hair loss, and help retain moisture in the hair. I need this in 16oz. 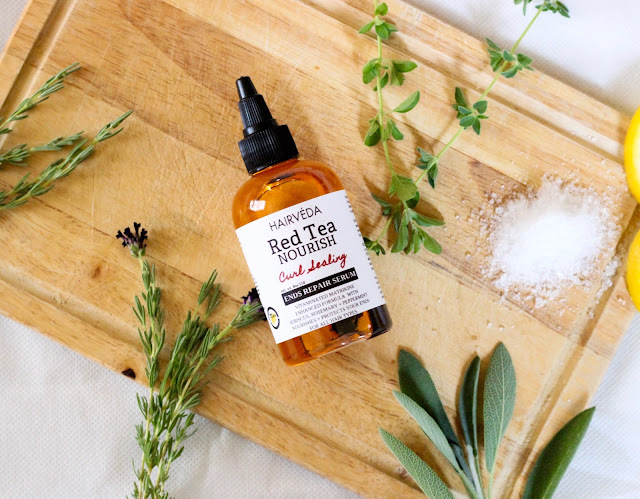 An aloe and African red bush tea-based cream gel fortified with lightweight, nourishing oils to tame frizz, define curls, and provide long-lasting style. The Curl Popping Gel Smoothie was my curl definer of choice that I layered on top of the Whipped Creme. Section by section, I generously coated my curls in the Curl Popping Gel Smoothie using the rake & shake method. 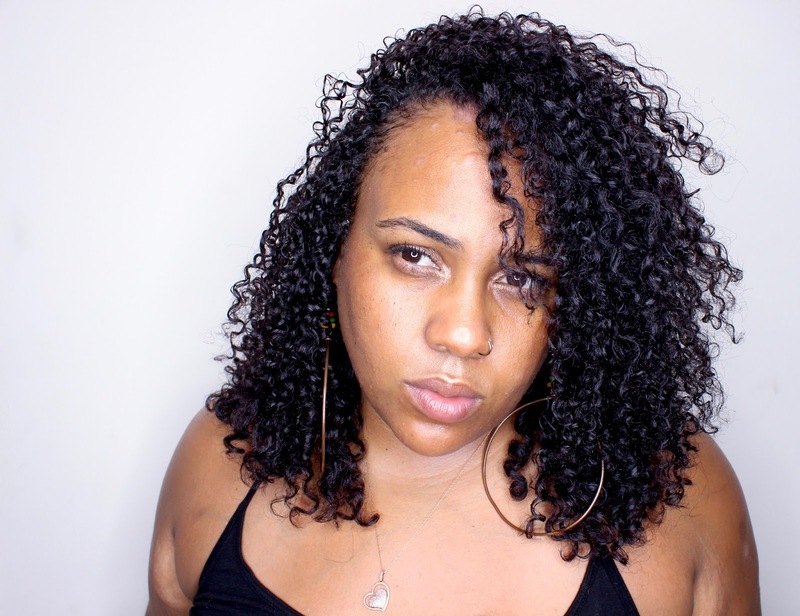 I chose this method over my detangling brush method because I wanted more elongation in my curls. Honestly, I now want to try the entire Red Tea collection. Doesn't it just look yummy?! Caprylic-Capric Triglyceride: Fractionated coconut oil that is light weight, nutrient rich, and fast absorbing. All the benefits of coconut oil without the heaviness. Butylene Glycol: Colorless, organic alcohol that helps water and oils mix. PPG-26-Buteth-26: Conditioning agent used to restore the appearance of dry, damaged skin and hair by reducing flaking and improving suppleness. PEG -40 Hydrogenated Castor Oil: Polyethylene glycol derivatives of castor oil used to help form emulsions by reducing the surface tension of ingredients, also acts as a solvent to help ingredients mix that normally would not. A multi-use oil designed to serve as a pre-poo or hot oil treatment, sealant, scalp massage aid, shine enhancer, and end repair serum. I used the Curl Sealing Serum two different ways. As you see in the video, I used it on my scalp directly to keep it moisturized and prevent itching and flaking - which I did again between wash days. Secondly, I used the Curl Sealing Serum to seal and protect my ends from damage by scrunching a few drops into the ends of my wet hair. I appreciated the lightweight nature of the Curl Sealing Serum - it definitely wasn't oily, greasy, or heavy. And you guys already know I'm a sucker for herbs and flowers floating around in oils - so the hibiscus petals made it that much sweeter (and better for my scalp). 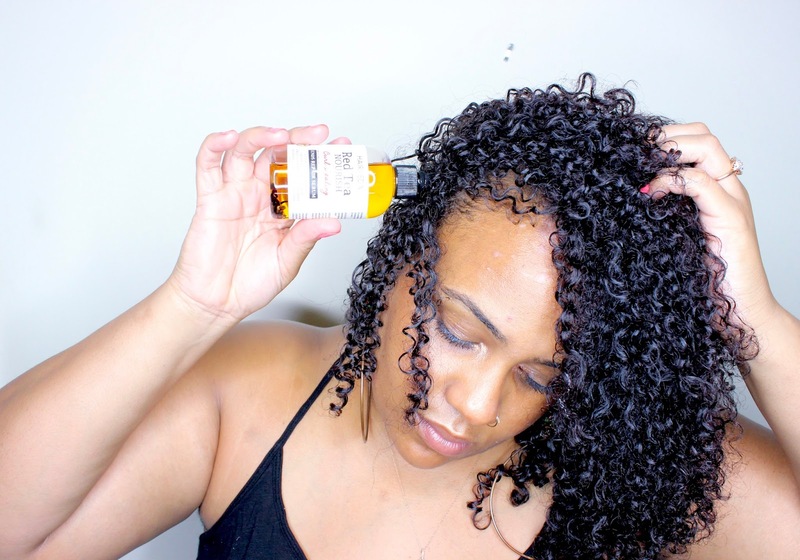 The Curl Sealing Serum added tons of shine to my hair and definitely kept my scalp itch at bay. I've mentioned previously that I'm not a huge fan of soybean oil. I would have loved to see carrot or argan oil in its place - but I'm not complaining because the Curl Sealing Serum didn't have that soybean oil smell at all. All in all - still a good oil that I'm happy to use to the last drop. Well guys, the verdict is in. HairVeda promised moisture, and they delivered! Will you be giving their products a try? Let me know in the comments below! Hello. I watch your videos and just got on to your blog. The 2017 Black Friday breakdown is sooo well broken down it makes it easy to shop.As far as soultanicals do you if they will restore salon sizes during the sale?